Salt is arguably the most important ingredient in cooking. Without it, most meals would taste bland and unexciting. However… not all salt is created equal and there are many “types” to choose from. We have Himalayan Pink Salt, Kosher Salt, Sea Salt, Celtic Salt (to name a few)… and then we have plain old refined table salt. Not only do they differ in taste and texture, but there are also some differences in mineral and sodium content. This article explores the most popular salt types… then at the end, gives you a direct comparison of their nutritional properties to help you make the right choices. 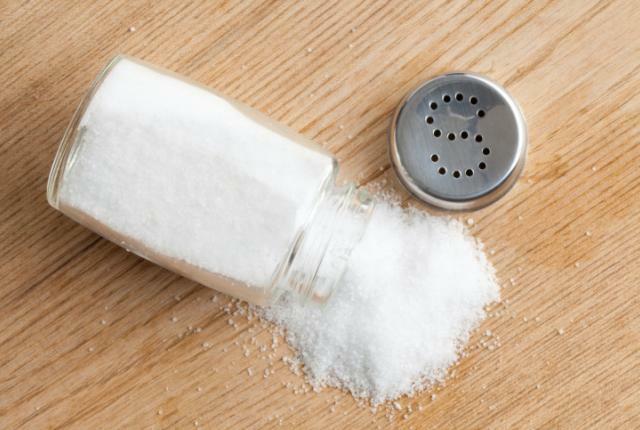 But first, let’s take a look at what salt is and why it’s such a controversial ingredient among health experts. What is Salt and How Does it Affect Health? Sodium and chlorine are absolutely essential for life in animals, including humans. They serve important functions like helping the brain and nerves send electrical impulses. Most of the world’s salt is harvested from salt mines, or by evaporating sea water or other mineral-rich waters. Salt is used for various purposes, the most common of which is adding flavor to foods. Salt is also used as a food preservative, because bacteria have trouble growing in a salt-rich environment. The reason salt is often perceived as unhealthy (in large amounts), is that it can bind water in the bloodstream and raise blood pressure. But even though studies have suggested that lowering salt intake can reduce blood pressure by 1-5.4 mm/Hg, there is no evidence that lowering salt prevents heart attacks, stroke or death (1, 2). The great majority of sodium in the Western diet comes from processed foods. 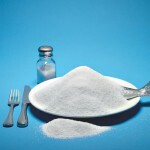 If you eat mostly whole, unprocessed foods then you don’t need to worry about adding some salt to your meals. Bottom Line: Salt is made of two minerals, sodium and chloride, which are essential for human life. Too much salt can raise blood pressure, but there is very little evidence that eating less salt can improve health. The most commonly used salt is plain old table salt. This salt is usually highly refined. It is heavily ground and most of the impurities and trace minerals are removed. The problem with heavily ground salt is that it can clump together. For this reason, various substances called anti-caking agents are added so that it flows freely. Food-grade table salt is almost pure sodium chloride, or 97% or higher. Here’s an important point… iodine is often added to table salt. This was a successful public health preventative measure against iodine deficiency, which was (and still is) common in many parts of the world and a leading cause of hypothyroidism, mental retardation and various health problems (3, 4). I personally take kelp tablets (seaweed) a few times per week because I rarely eat iodized salt. They are very high in iodine. Bottom Line: Refined table salt is mostly just sodium chloride, with substances called anti-caking agents added in order to prevent clumping. Iodine is often added to table salt. Like table salt, it is mostly just sodium chloride. However, depending on where it is harvested and how it was processed, it usually does contain some amount of trace minerals like potassium, iron and zinc. The darker the sea salt, the higher its concentration of “impurities” and trace nutrients will be. However, keep in mind that due to the pollution of oceans, sea salt can also contain trace amounts of heavy metals like lead. Sea salt is often less ground than regular refined salt, so if you sprinkle it on top of your food after it has been cooked, it may have a different mouthfeel and cause a more potent “flavor burst” than refined salt. The trace minerals and impurities found in sea salt can also affect the taste, but this varies greatly between different brands. Bottom Line: Sea salt is made by evaporating seawater. It is very similar to regular salt, but can contain small amounts of minerals. It can also contain trace amounts of heavy metals if it is harvested from a polluted sea. Himalayan salt is harvested in Pakistan. It is mined from the Khewra Salt Mine, the second largest salt mine in the world. It does contain small amounts of calcium, iron, potassium and magnesium. It also contains slightly lower amounts of sodium than regular salt. 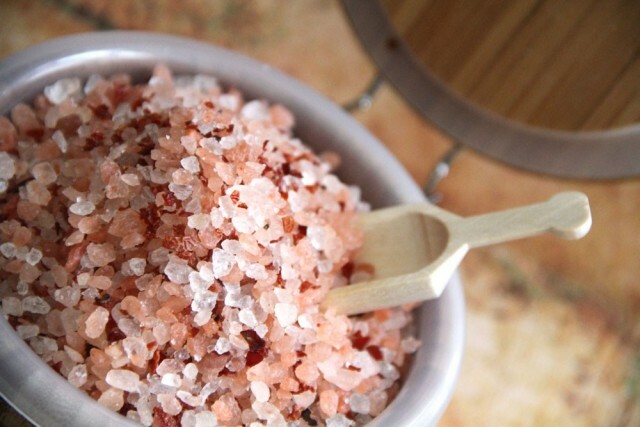 A lot of people prefer the flavor of himalayan salt compared to other types of salts, but personally I haven’t been able to notice a difference. The main difference seems to be the color, which can give a meal a nice look if you sprinkle it on top after it has been cooked. Bottom Line: Himalayan salt is harvested from a large salt mine in Pakistan. It has a pink color due to the presence of iron oxide. It also contains trace amounts of calcium, potassium and magnesium. Kosher salt was originally used for religious purposes. Jewish law required blood to be extracted from meat before it was eaten. Kosher salt has a flaky, coarse structure that is particularly efficient at extracting the blood (6). The main difference between regular salt and kosher salt is the structure of the flakes. 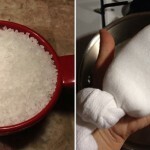 Chefs find that kosher salt, due to its large flake size, is easier to pick up with your fingers and spread over food. 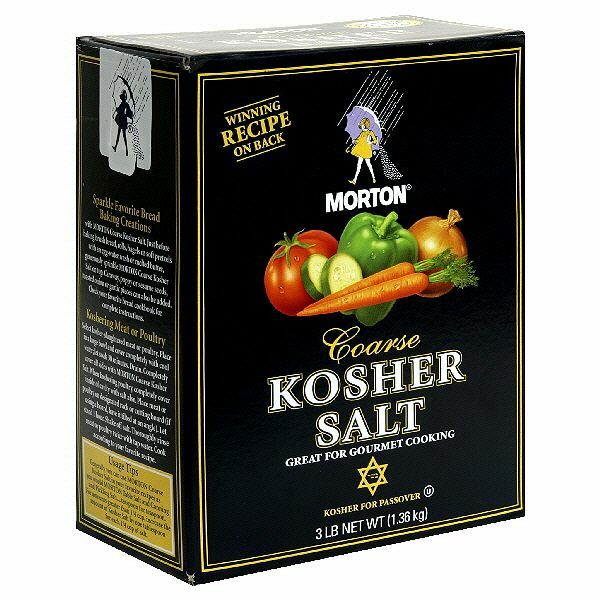 Kosher salt will have a different texture and flavor burst, but if you allow the salt to dissolve in the food, then there really isn’t any difference compared to regular table salt. Bottom Line: Kosher salt has a flaky structure that makes it easy to spread on top of your food. There is very little difference compared to regular salt, although it is less likely to contain anti-caking agents and added iodine. Celtic salt is a type of salt that originally became popular in France. It has a greyish color and also contains a bit of water, which makes it quite moist. 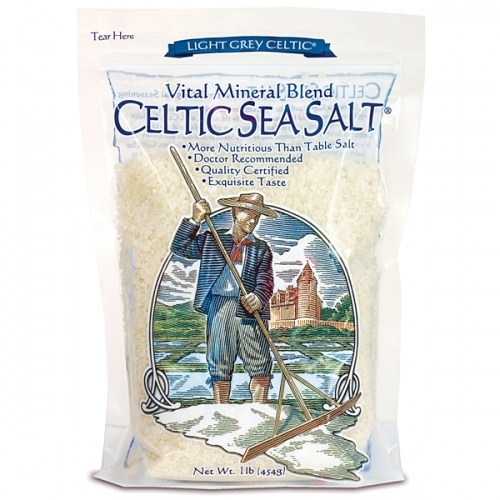 Bottom Line: Celtic salt has a light greyish color and is quite moist. It is made from seawater and contains trace amounts of minerals. The impurities, including the trace minerals, can affect both the color and taste of the salt. The size of the salt can also affect how the salty flavor hits the tongue. Salt with a larger grain size can have a stronger flavor and last longer on your tongue. However, if you allow the salt to dissolve in the food, then there shouldn’t be any major taste difference between plain refined salt and the other “gourmet” types of salt. If you like to use your fingers to sprinkle salt on food, then dry salts with a larger grain size are much easier to handle. 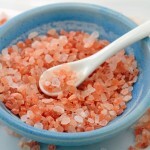 Bottom Line: The main difference between the salts is the taste, flavour, color, texture and convenience. 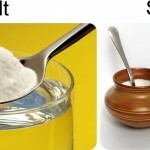 There is one study that compared the mineral content of different types of salt (7). However… keep in mind that these really are tiny amounts. For example, the 0.3% content of Magnesium for celtic salt implies that you would need to eat 100 grams of salt to reach the recommended daily amount. For this reason, the mineral content of the various salts is actually not a compelling reason to choose one salt over the other. These amounts really are negligible compared to what you get from food. Which Salt is The Healthiest? I looked long and hard and couldn’t find a single study actually comparing the health effects of different types of salt. However… if such a study were done, I highly doubt they would find a major difference. 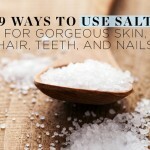 Most of the salts are similar, consisting of sodium chloride and tiny amounts of minerals. 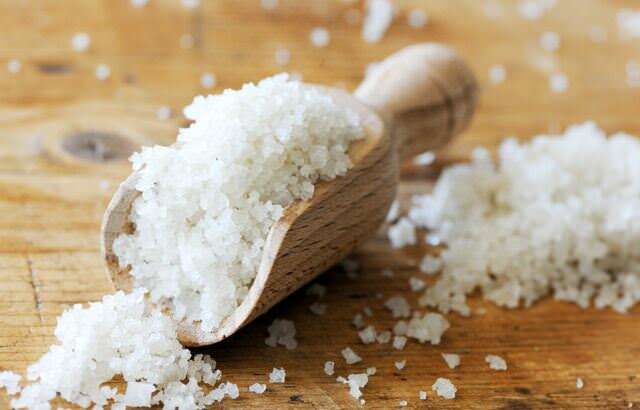 The main benefit of choosing more “natural” types of salt is that you avoid additives and anti-caking agents that are often added to regular table salt.